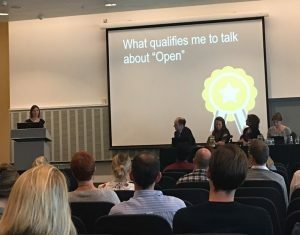 Last week was the start of the European region of the World Congress of Physiotherapy conference in Liverpool. 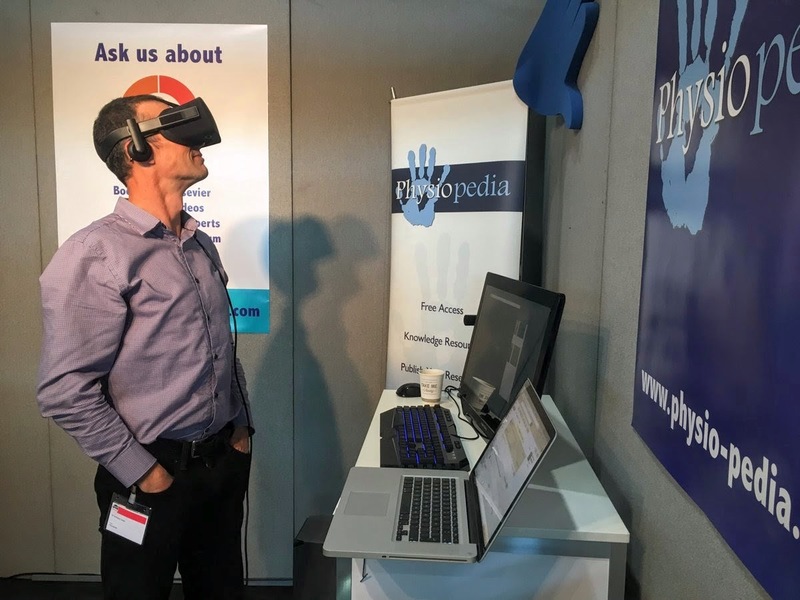 The Physiopedia team had an action packed three days including a hackathon, a trade stand, Oculus Rift and three excellent presentations. 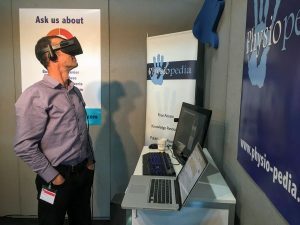 The first ever Hack Physiopedia event kicked things off on Thursday to great success. Hosted by the Zieferblat cafe in the Liverpool Albert docks, the Hackathon brought together a core group of Physiopedia volunteers to tear apart and reassemble the Physiopedia project. It was the first time we’ve had this many volunteers in the same place and Rachel and Tony lead the group through the engaging and energising experience. Global health, mission statements, new ideas and success stories: the results are something special. Already Tony has been busy with a survey of Physiopedia users and the results make interesting reading. Click the link to see for yourself! Virtual reality (VR) made an appearance for the first time(?) at a Physiotherapy conference. VR divides opinion and the experience varies from person to person. Some aren’t fussed by the experience but others find it completely overwhelming. It is, however, universally agreed that the benefits are clear and that Physiotherapy will need to embrace it as a tool for rehabilitation. 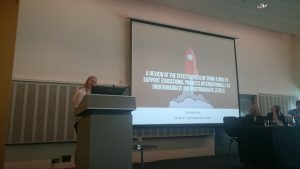 Michelle Lee encapsulated the core values and worldwide impact of Physiopedia at a ER-WCPT with a platform presentation – “A review of the effectiveness of using wiki to support educational projects internationally at undergraduate and post graduate levels”. She spoke clearly and really helped the room to understand the importance of projects within Physiopedia. The educational courses have been running for several years and aren’t just accessible to students. Low resource communities utilise these courses and are essential to their growth and understanding, showing that the benefits aren’t limited to Physiotherapy, but to global development as a whole. Michelle performed semi-structured interviews alongside questionnaires to evaluate the effectiveness and fulfilment from the course leaders and the students across all projects. Overall the feedback was excellent with 100% of institutions reporting reaching their pre-course aims and wishing to continue their project partnerships. Read more about the presentation here. Rachel is an excellent teacher and it is always worth watching her presentations. On the Saturday she was busy with a panel discussion discussing the legalities, ethics and frameworks of election, implementation and evaluation of digital technologies in healthcare, focusing particularly on the importance of open access digital resources. Afterwards there was a round table that discussed how to embed digital technologies in healthcare education and clinical practice. Rachael’s table spent their time weighing up the benefits and pitfalls of using open access digital resources for global knowledge translation. After the presentation, a conversation took place in the conference hall which was incredibly humbling. They said that “Rachel doesn’t need to explain who she is or what Physiopedia is to anyone anymore. Everyone knows and everyone uses it.” This sums up how much Rachel and Tony have achieved in such a short amount of time – you don’t get 1 million views a month if you don’t know what you’re talking about. The coming year is going to be something special. With new ideas and innovation coming from a core team of enthusiastic volunteers, the Physiopedia movement will continue to grow and improve.